When your brain suffers blunt force trauma or is deprived of oxygen for a significant amount of time, it can have long-lasting negative effects on your lifestyle and overall health. If your brain injury happened due to another’s actions or negligence, a personal injury attorney can help you seek compensation for any treatment, recovery, and suffering that resulted from the injury. The South Carolina brain injury lawyers at McWhirter, Bellinger & Associates have the experience necessary to represent you in any legal matters arising from your brain injury. While you take the time you need to recover, we will fight to secure compensation from the parties responsible. Call (888) 353-5513 to arrange for a free case review. What Category is Your Brain Injury? There are a variety of causes behind brain injuries, and these can lead to different risk factors and recovery times. Working closely with a doctor to treat your brain injury is important, as it can help prevent further complications and gives you a detailed medical record for legal purposes. Traumatic Brain Injury (TBI): Suffering serious trauma to your skull can damage the brain and lead to a variety of physical and neurological symptoms. Traumatic brain injury most commonly happens in car accidents. Anoxic Brain Injury: When your brain is deprived of oxygen for a significant amount of time, brain cells will die, leaving you in a mentally debilitated state. This is called Anoxic Brain Injury, and it can result from medical malpractice or forced asphyxiation. Concussion: Also known as a mild traumatic brain injury, concussions are one of the most common forms of brain trauma. The more concussions you’ve had, the easier it is to get another concussion, and these can accumulate over time to create serious long-term health problems, like Parkinson’s or Alzheimer’s disease. If brain injuries have left a family member or loved one in a coma, or in a state where they are not competent to act for themselves, you should consult a lawyer on their behalf. If you have suffered a serious brain injury, it can be hard to understand how your accident and your injury will affect your life. Understanding the type of brain injury can help you see what your future is going to hold, and what type of compensation might be necessary to provide for your future. 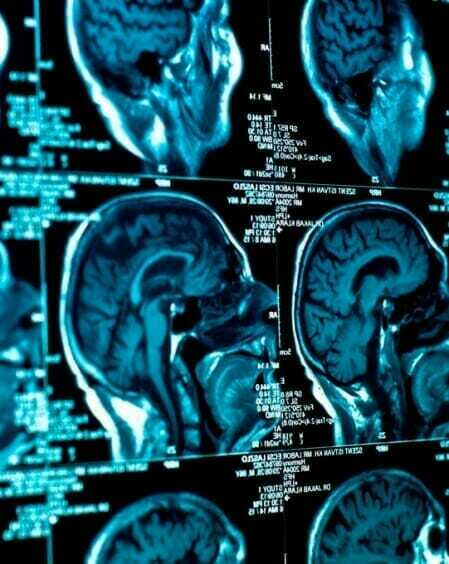 Brain injury can be classified as either primary or secondary brain injury. Primary brain injury is the injury that occurs at the moment of your car accident, slip and fall, or other traumatic impacts. It can often lead to secondary brain injury. Secondary brain injury occurs over time as the effects of primary brain injury lead to additional injuries. These are often more serious than the primary injury and can be caused by anything from inflammation and bleeding in the brain to the separation of the various brain structures leading to brain cell death. A concussion is typically used to describe a minor traumatic brain injury. It can be caused by blows to the head or by a forceful acceleration of the head, such as occurs during a car accident, even when the head does not strike anything. These injuries may seem minor, but they can lead to secondary brain injury, and the effects of a concussion may take months or years to heal, and while it is healing, the brain may suffer even greater damage from additional concussions. This term is used to describe brain injury caused by the movement of the brain inside the skull. The brain may initially strike the skull on one side near the point of impact with a physical object or in the direction of acceleration. This first impact is called the coup. The brain then rebounds off the skull and may strike the opposite side, resulting in a contrecoup injury. Although the primary injury is localized, it can lead to diffuse secondary injury. A contusion is a bruise on the brain, where blood from a broken blood vessel and swelling brain tissue mix to cause a lesion that can put pressure on other brain tissue. A contusion can be caused by a closed-head injury or an open-head injury. The skull is supposed to protect the brain, but if subjected to sufficient force, your skull can crack. A depressed skull fracture is when the skull breaks and the pieces of the broken skull press on the brain tissue resulting in contusion or hematoma. A penetrating skull fracture is when something pierces the skull and penetrates the brain. Hematoma is heavy bleeding around the brain. It can lead to an increase in pressure around the brain that can result in significant secondary injury. Anoxia and hypoxia refer to the cessation and reduction of oxygen supply to the brain. These can be from secondary brain injury effects, such as swelling in the brain that results in the closing of blood vessels or general oxygen deprivation from suffocation or drowning. Brain injuries can have many different causes, from sports injuries to car accidents. Sometimes, this type of injury may be grounds for an injury lawsuit if the cause stems from someone else’s negligence. In any of these situations, serious physical harm can result, including trauma to the head and brain. There are a few different types of brain injury, sometimes caused by punctures, blunt trauma, or other factors. But all types can be serious and can involve lifelong disability, pain, and hardship. To proceed with a brain injury case, the brain injury must have been caused by someone else’s negligence. Our experienced lawyers know how to examine your case for evidence of negligence, and they can work to demonstrate how the negligence was the direct cause of the injury. The defendant owed you some legally binding duty, such as the duty to follow traffic laws. The defendant breached this duty by taking a certain action or failing to act, such as driving while intoxicated or speeding. The breach of duty led to an injury or accident, such as a car accident. The car accident was the direct cause of your brain injury. The specific cause of your injury is not as decisive a factor as proving the elements of negligence are present in your case. Whether you suffered a brain injury at work, on the road or in a different situation, if it was caused by someone else’s carelessness, then we may be able to pursue compensation on your behalf. The only way to know for sure is to discuss your case with us. If someone else is at fault for the brain injury of you or a loved one, they may be liable for a variety of damages. You can be compensated for medical costs, lost wages, pain and suffering, and even punitive damages. But it’s important to have a good lawyer who can guide you through the process and make sure you get the maximum compensation you deserve. At McWhirter, Bellinger & Associates, we have the resources necessary to navigate the complexities of brain injury cases. Our work has been recognized as excellent by many organizations who evaluate legal services, and our dedication to you and your case will not be equaled by another firm. Contact us at (888) 353-5513 for a free case evaluation. McWhirter, Bellinger & Associates serves clients in Columbia, Lexington, Sumter, Camden, Orangeburg, Aiken, Newberry, and throughout South Carolina. According to the Centers for Disease Control and Prevention (CDC), auto accidents are the leading cause of brain injury in the United States. Other possible causes include slip-and-fall accidents, physical violence, sports-related accidents, and boating accidents. If you or a loved one has sustained a brain injury in an accident, our South Carolina lawyers can help you get the compensation you’ll need to recover to the best of your abilities. Even with these treatments, full recovery from a brain injury may not be possible. What are some potential complications of brain injuries? Serious complications can often be minimized with acute and subacute medical treatment. However, many victims of brain injury continue to experience some difficulties for the rest of their life. What is the estimated cost of brain injury treatment? The CDC estimates that a brain injury can result in expenses upward of $1,875,000 throughout a lifetime. These costs only reflect treatment and rehabilitation; they do not take into account lost wages. Nor do they take into account the damages a person may suffer on a physical and emotional level. Can I sue for my brain injury? If your brain injury was caused by another person or the result of medical malpractice or defective drugs or products, then you likely have a legal claim and are entitled to compensation for your injuries. You will want to meet with McWhirter, Bellinger & Associates, P.A., trial lawyers at one of our South Carolina offices to discuss your injuries and potential claim. How long after injury do I have to file a lawsuit? This depends on the kind of case you are bringing and the source of your injury. If you or a loved one has been affected by a serious brain injury, you should seek out our trial lawyers’ counsel as soon as possible. You generally have three years to file a personal injury lawsuit in South Carolina. What damages can I recover from a brain injury lawsuit? Each case is different. You may be eligible for damages including medical costs, pain and suffering, loss of earnings, rehabilitation costs, and future medical expenses. Recovery of compensation depends on the severity of your injury and the effects it will have on your future. One of our trial lawyers will be able to assess your individual case. What types of brain injury are there? These injuries can be classified into many different brain injury types. In general, you can suffer from the effects of primary and secondary brain injury. Primary injury occurs at the moment of traumatic impact. Secondary brain injury results from complications of the initial injury, such as inflammation or bleeding of the brain. Medical and psychological experts can evaluate your behavior and movements along with performing diagnostic testing to determine the nature and extent of the brain injury. At McWhirter, Bellinger & Associates, P.A., our trial lawyers will find the correct professionals to assess your injuries and provide evidence for your case. What if I have lost a loved one because of a brain injury? Our trial lawyers may be able to help you seek compensation for your loss by initiating a wrongful death claim. If your loved one died as a result of a brain injury sustained because of the negligent, reckless or intentional acts of another, then you likely have grounds to sue that individual for your loss. The brain injury lawyers at McWhirter, Bellinger & Associates know the tremendous impact these injuries can have on every part of your life. We are prepared to take your case as far as necessary to ensure you are provided with compensation for medical expense, lost wages, adaptive technologies, home and lifestyle modifications, and personal pain and suffering. We will work closely with you, assessing how your injury will impact your life, and fight to get you the justice you deserve. If you have questions about your legal rights following a brain injury, please contact McWhirter, Bellinger & Associates, P.A. to schedule a free case evaluation today. Our South Carolina brain injury lawyers maintain offices in Camden, Columbia, Lexington, Sumter, Orangeburg, Aiken, and Newberry, but they can come to you if your injury prohibits travel.